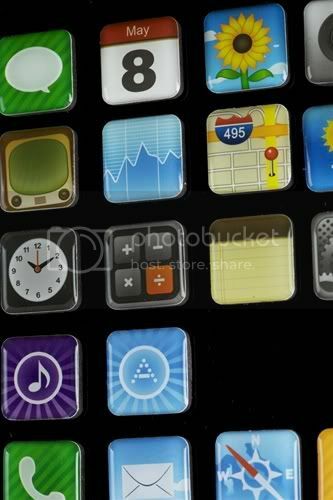 Aside from being a game changing gadget, the iPhone is a pop culture icon on it's own. 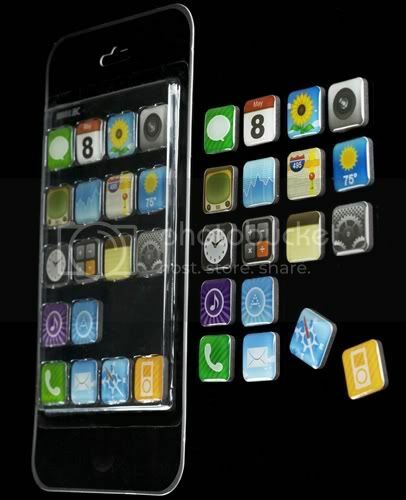 Just look at all the iPhone inspired stuff people are cranking out. You got iPhone shirts, iPhone bags and cases not to mention speakers that supports it's unique dock. 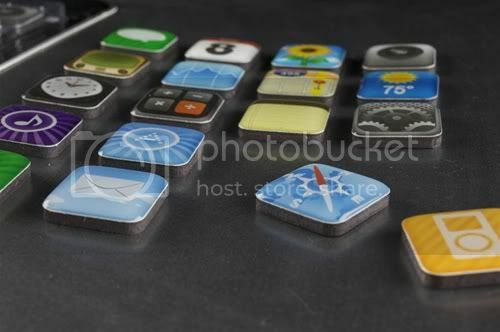 Now we have these iPhone App Magnets to add to the ever growing Apple Fanboy wishlist. I'm sure somebody here in the Philippines will find a way to manufacture these iPhone App Magnets, and when they do I'd be inline to grab one for me and my loved ones. Check the break to see more images. A set of these is selling around $13. I will not order online. I shouldn't order online. Must resist! Argh! Outer cardboard packaging is 9.5" x 5"
18 individual epoxy magnets each measuring 7/8" x 7/8"
This product is in no way affiliated with Apple Inc. or the iPhone. It is simply a product made by fans for others fans.